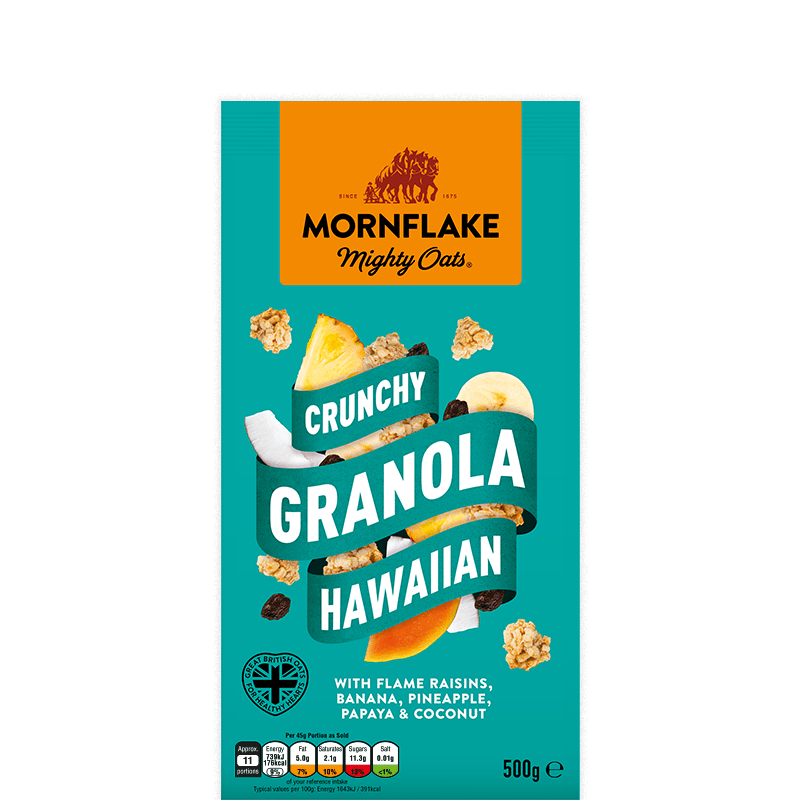 Mornflake Hawaiian Oat Granola is packed full of flavour! 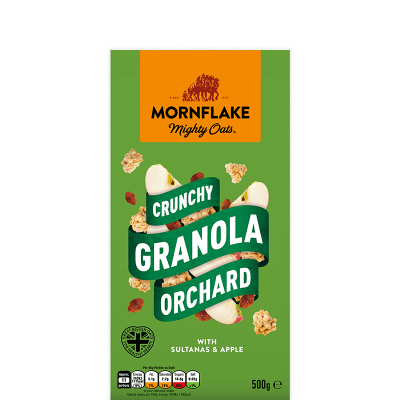 The finest oats are milled and toasted in our unique way – we then combine them with juicy raisins, tropical banana and pineapple pieces to create the tastiest, crunchiest granola clusters. They contain wholegrain too, providing high fibre. With such a delicious start to your day, it’s hard to resist refilling your bowl. 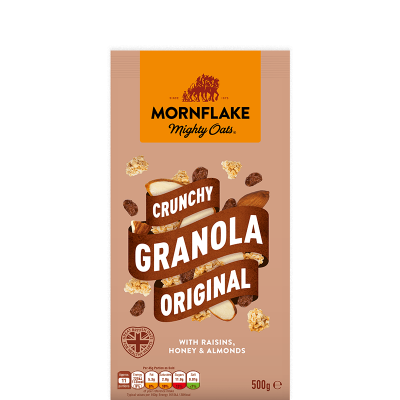 Mornflake OATFLAKES (60%), Mixed Dried & Sweetened Dried Fruits, Nuts & Seeds (18%) (Flame Raisins (8%), Sweetened Dried Banana (4%) (Banana, Coconut Oil, Sugar, Natural Flavouring), Sweetened Dried Pineapple (2%) (Sugar, Pineapple, Citric Acid, Preservative: SULPHUR DIOXIDE), Sweetened Dried Papaya (2%) (Papaya, Sugar, Preservative: SULPHUR DIOXIDE), Coconut (2%), Sunflower Seeds, Chopped HAZELNUTS), Sugar, Palm Oil, Honey (1.5%). 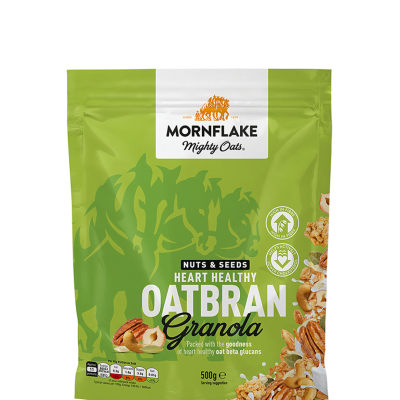 * As part of a varied and balanced diet and a healthy lifestyle, oat beta glucans have been shown to help lower blood cholesterol. Blood cholesterol lowering may reduce the risk of coronary heart disease. 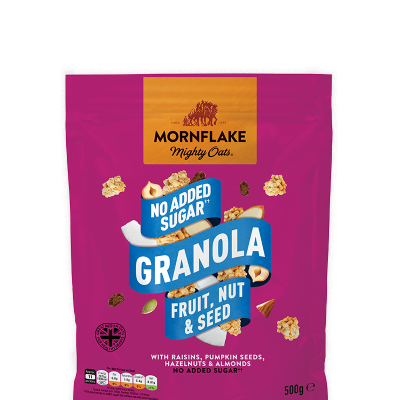 One 45g portion of Mornflake Hawaiian Granola provides at least 1g of beta glucans from oats, which is 33% of 3g, the suggested daily amount.